We are pleased to share Volume 4 of The Snow Leopard Magazine, published in June 2018 by the Snow Leopard Conservancy’s partners in Nepal. This year’s edition contains many interesting articles, including one written by the Darla Hillard, Director of Education for the Snow Leopard Conservancy, regarding environmental education and its importance to snow leopard conservation. 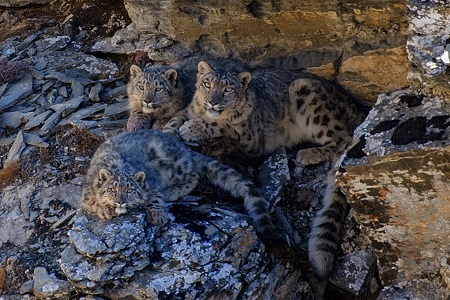 Another article discusses the discovery of three separate sub-species of snow leopards while yet another explains the IUCN downlisting of the snow leopard from endangered to vulnerable and what that means for snow leopard conservation. Yet another fascinating article discusses postage stamps bearing images of wildlife, including the snow leopard. Click on this link to read the current volume of the Snow Leopard Magazine.